Lead Footed officer nailed with Street Racing! 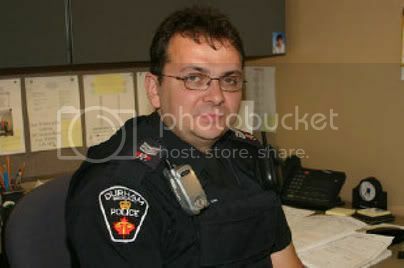 This officer does not qualify for the OPP Street Racing Team! A Durham Regional Police officer has been charged with street racing two weeks after his vehicle was pulled over in Ajax. Givelas was off duty and driving his personal car when he was pulled over just before 5 a.m. on March 9 as he drove eastbound on Taunton Rd. near Westney Rd. Selby would not confirm the speed at which the car was clocked when it was pulled over. He has been transferred to a job in a different division pending the outcome of the charges. ÃƒÂ¢Ã‚â‚¬Ã‚Å“ItÃƒÂ¢Ã‚â‚¬Ã‚â„¢s normal protocol to make sure everythingÃƒÂ¢Ã‚â‚¬Ã‚â„¢s above board on the case,ÃƒÂ¢Ã‚â‚¬Ã‚Â said Selby. Givelas is scheduled to appear in court in late April.